The first E-car with 7kw*2 hub motor has come out!! As I mentioned in the "7kw*2 hub motor for E-Car",the factory has come out 7kw hub motor for e-car already.In order to prove the e-car timing is coming,we are cooperating with one auto company.After the rebuilding and experiment,the first e-car with 7kw*2 hub motor in the world has come out. More details I will track and update step by step. Re: The first E-car with 7kw*2 hub motor has come out!! Very nice. At what speed does it go 100km? Are the hub-motors on the front wheels or the back wheels? Will they make this car with regenerative braking. 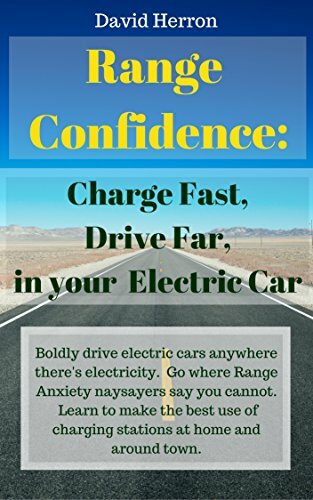 My electric car has regenerative braking and I find without it I would burn up the brakes going down long steep hills. With the speed of 50km/h in float,windless road. Take you to the 7KW E-Car Hub Motor World! But it's also realizable to put the motor on the front wheel or even using four motor on each wheel. Got the two 10kW motors, rear axle and controller today! Soon I will begin converting the "hybrid" car. You might try this site page to get more information. You can contact with me directly to know more information. Interesting that the car only has a 7Kw hub motor. ZEV (Z Electric Vehicle) has a 7 Kw continous hub motor motor scooter in their custom line. 80 mph. They are doing 5.7 Kw motor scooters every day. One of the guys on this forum just bought one. Hi Johnny! Nice setup you have. Do you have a build thread or blog with more information? Where did you get the 10kw motors? What I do not understand is why anyone would make or want a 7 Kw or 10 Kw car. Its useless in the real world. The ZEV electric bike company just put its 7 Kw continous power motor scooter (14 Kw peak) up on its web page at www.zelectricvehicle.com Model ZEV7000 Now that bike can run up any good hill and can be taken out on the Interstate and run well over 70 mph. That is a 300 lb motor scooter. A car is far more heavy. I am the test rider on that ZEV7000. To me sub 50 mph scooters just cannot be really used. In June I start test riding a new 85 mph electric scooter with 100 mile range. To cruise that at 70 should be good fun. I have worked on several cars made in China with 7-15 Kw. I can run faster than all of them on the slightest grade. If you live in flat land in a community where you can drive sub 30 mph maybe that will work for you. In China, the main cities are all dead flat. The roads are all less than 10 years old. Slow cars can be used amongst the pedal carts and the 3 wheel trash trucks. Not anywhere else. Buyers must be careful on believing the claims of motor power. The ZEV test is what power is available and continous after 3 minutes of full power. I have seen 1 minute tests done by some companies. We use a test temperature of 150 degree C. We have been offered motors from China tested at only 80 degree F / 26 degree C. That is a joke. A so called 10 Kw motor if tested at 26 degrees will not put out anywhere near 10 Kw after a few minutes of heat soak. You also find that the higher powered the electric vehicle, the less problems it has with heat. If a small motor is put up against a hill it might take 3 minutes to climb the grade. A bigger motor might do it in seconds. So the bigger motor, despite putting out more heat, spends less time putting out that heat. So the motor actually runs cooler. I finished the car a couple of weeks ago and the 2x10kw (nominal) motors works fine. Acceleration is good enough and the top speed is around 60mph as I expected. This works fine in city traffic. Neither the motors or controller gets very warm. Do the motors provide a mechanical brake like a disc or drum brake? Many scooter hub motors have this. There are built in drum brakes. Are the mechanical lever or Electric Solenoid? Are they normally off or engaged? Are the drum brakes effective or just good for handbrake on a hill? And how would you go about replacing the pads? They are standard hydralic/mechanical brakes and uses standard (Daewoo/Chevrolet) brake pads. I use the hydralic brake hoses already on the car since the calipers are also the same. Rear brakes are as good as before. Thanks for the details on the brakes. Hydraulic/Mechanical Drum brakes and Daewoo compatible brake shoes makes it appear much more capable. Can you help explain the installation. Is it only powered by these wheel motors in the rear wheels, does it have an engine in the front too? What battery pack are you using, Chemistry, Voltage, etc. How much current does the battery pack supply at a speed on the flat? Did you need two controllers, one for each BLDC motor or does the one controller connect to both? Does the controller connect to a computer for configuration? Sorry for all the questions, just sounds like an interesting installation project. Photo/Videos would describe a tonne of information. I also have some questions, such as, how many controllers do you need for a 4 wheel hub motor car? What about 2 wheels, how many controllers? Can you get regenerative braking with those controllers and motors? How do you control th temperature in the hubs? How do you get more top speed to the car? Sorry for all the questions, thanks in advance. This car performs slow even when the wuight of the chassis is rather low. If you want to convert a normal car to a electric car, needs much more performance = bigger battery capacity etc etc. That is sure the case if the electric motor is replacing the gasonline motor. If you use axle motors, then the effeciency rises. Would you send me the same email which you sent to 7circle? I am trying to learn about hub motor for my car too.. I know the post is already old but, does the project continue? Any further information of the results before 2 or 3 years of use? Indeed old but, is there any further information for a "retrofit" enthusiast?